Chocolate Malt Bread Pudding is studded with chopped Whoppers candies, chocolate chips, drizzled with chocolate syrup and drenched in a light custard. This fun dessert for two takes minutes to mix together and then bakes for about 30 minutes. One of Mike’s favorite treats are Triple Chocolate Malted Cookies. He also loves Whoppers candies. Actually, he is pretty much crazy for anything chocolate malt, so I thought it would be fun to make a special dessert with this favorite in mind. I wanted to make a dessert for two, and Chocolate Malt Bread Pudding jumped to the top of the list…for obvious reasons…. M&M Chocolate Cookie Cups are a chewy, chocolate cookie studded with chocolate chips that is baked into a cookie cup and then topped with your favorite M&M candies. These are always very popular! ‘Tis the season to be busy in the kitchen! We have been busy baking cookies, baking with chocolate, baking something new almost every day it seems. While it is easy to get caught up in making the latest cookie stuffed in a cookie or some otherwise intricate dessert, I always like to have some easy, tasty recipes that are sure to be a hit at any party. Candy Cookies in a Jar is a recipe for cookie mix that is filled with lots of goodies and decoratively arranged in a jar. These are fun and easy to make, plus they make great gifts for the Holidays. 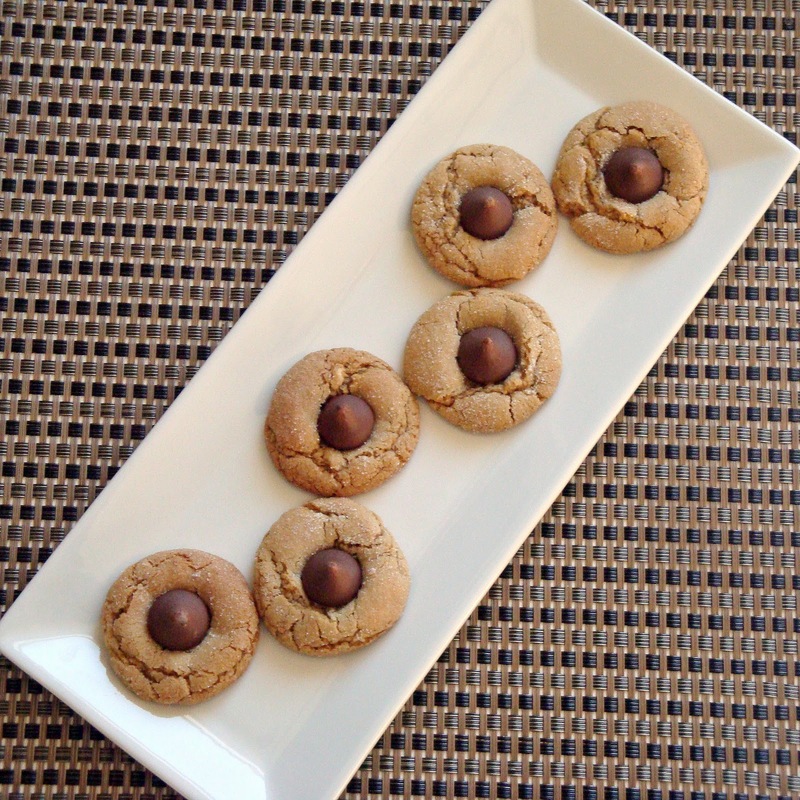 This particular recipe is for Chocolate M&M Cookies, but any cookie recipe could be used following the same layering concept. Candy Corn White Chocolate Pretzels are a fun, easy, salty-sweet treat that is perfect for Halloween! With Halloween only a few days away, I thought it would be fun to put a Halloween twist on one of my favorite holiday treats ~ Pretzel Kiss Candies. These treats are perfect for holidays or special occasions. They have that sweet-salty thing going on, which is wildly popular, and they can be decorated to coordinate with any occasion. By using a candy corn instead of an M&M candy for the topping, Candy Corn White Chocolate Pretzels are a Halloween treat that is adorable, festive and fun for all ages. They are very quick to make, and so easy that the kids can easily get involved as well. The result is an easy Halloween treat that is always a crowd favorite! Chewy M&M Sugar Cookies add M&M chocolate candies to the best chewy sugar cookie recipe, resulting in one of my favorite cookies of all time. These are also fun for holidays! When I first saw a recipe for Chewy M&M Sugar Cookies, and realized it used the same base recipe as my Chewy Sugar Cookies I knew they were going to be good. Since those cookies are one of my favorites of all time, I figured M&Ms could only make them better, right? Right! The sugar cookie base is deliciously chewy and the cream cheese adds a little tang. Chocolate bursts of M&Ms are studded throughout. Chewy sugar cookies made with M&Ms. Genius idea. I love how cute these look and that they can be made festive for any occasion. Truth be told, I have been trying to make these cookies for months. I have M&Ms for every holiday stocked in my treat drawer that were intended to be used for Chewy M&M Sugar Cookies. While I used Easter “Bunny Mix” M&Ms, these are made in honor of Spring (since there won’t be any left for Easter…Oops!). Preheat oven to 350 degrees. Line 2 large baking sheets with parchment paper. Place ⅓ cup sugar in a shallow bowl and set aside (this will be used for rolling). In a medium bowl, whick the flour, baking powder, baking soda and salt. Set aside. In a large bowl, add 1½ cups sugar and cream cheese. Pour butter over sugar and cream cheese and whisk to combine (some small lumps may remain). Whisk in oil until incorporated. Add egg, milk and vanilla; continue to whisk until smooth. Add flour mixture and mix with rubber spatula. Add 1 cup of M&Ms and continue mixing until dough forms. Divide dough into 24 equal pieces. Using hands, roll dough into balls. Roll balls in reserved sugar to coat and place on prepared baking sheets, 12 balls per sheet. Using bottom of drinking glass, flatten balls until 2 inches in diameter. Using remaining M&Ms, gently press 2-3 candies onto tops of cookies. Bake 1 tray at a time until edges are set and beginning to brown, about 9 to 12 minutes. Let cookies cool on sheets for 5 minutes. Transfer cookies to wire rack and let cool completely before serving. Peppermint Twist Kiss Cookies are a fun variation of the ever-popular “blossom” cookies with a candy kiss in the middle. These light-tasting peppermint cookies have a red and white swirl that are cute and festive for the holidays or any time! Peppermint Twist Kiss Cookies are tasty, fun and festive…perfect for this time of year! The red and white cookie is a light-tasting peppermint butter cookie, and then topped with a chocolate kiss. Time sure flies! We are to Week 7 of the 12 Weeks of Christmas Treats! We all know that no holiday cookie platter is complete without some form of a ‘blossom’ cookie. Not only are they tasty, but they are so darn cute with the Hershey’s Kiss in the middle! Sunny Blossoms offer a delicious, peanut-free alternative. In a small bowl, whisk flour, baking and salt. Set aside. In a large bowl, using an electric mixer, cream together butter and sunflower butter until blended. Gradually add granulated sugar and brown sugar to sunflower butter mixture - cream well. Add egg and vanilla - beat well. Bake for 8 minutes. Remove from oven. 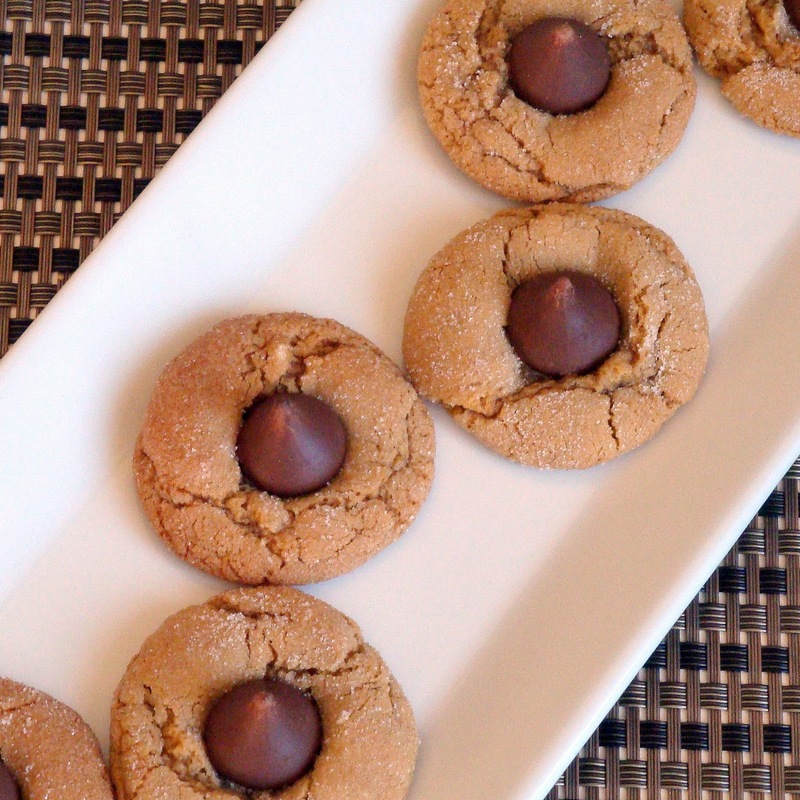 Top each cookie with a Hershey's Kiss candy, pressing down firmly so cookie cracks around edge. Return to oven and bake 2 to 5 minutes longer until golden brown. Move cookies to wire rack to cool completely. Sometimes nothing beats a good root beer float. Or at least that’s what I thought until I tried these Root Beer Float Cookies. While at first I was not quite sure what to expect, that first bite tasted so familiar. Then it hit me – these cookies taste like a root beer float! The dough is very simple to make and takes around 10 minutes. To make it easier to work with, I recommend refrigerating the dough for a couple hours (if you can wait overnight, even better). There are flecks of root beer barrel candies studded throughout each cookie, adding some texture, color and root beer flavor. They are topped with a simple root beer drizzle and additional crushed candies, if desired. The best part…each cookie comes in around 70 calories! In a medium bowl, whisk together the flour, baking powder, baking soda, salt cinnamon and allspice. In a separate large bowl, beat brown sugar and butter on medium speed until light and fluffy. Add eggs and vanilla, beating until combined. Using a wooden spoon, mix the flour mixture with the butter mixture until just combined. Stir in crushed candies. For best results, refrigerate dough for 1 hour to overnight. Drop dough by rounded teaspoonfuls about 2 inches apart. Bake for 8 to 10 minutes, or until edges are slightly golden brown. Cool 5 minutes on cookie sheet and then move cookies to wire rack to cool completely (at least 20 minutes). Root Beer Glaze: Stir powdered sugar and root beer, adding the root beer by the teaspoonful, until desired consistency is achieved. Drizzle glaze over cooled cookies and sprinkle with crushed candies, as desired. I have never been one to do much for Valentine’s Day, but I am happy to have any reason to cook or bake something special. Or in the case of these truffles, to mix, roll, and chill something special. These tasty truffles are not only easy and a healthier option, but are made using a few simple ingredients that you probably already have in your pantry. We all know that chocolate and peanut butter are wonderful together. Add pretzels, and you have the ultimate salty-sweet combination. Toss in a little flaxseed for good measure, and voila! Delicious little Peanut Butter Pretzel Truffles. These are the perfect little treat for your sweetie this Valentine’s Day, or for yourself any day simply because you are worth it! In a medium bowl, mix peanut butter, crushed pretzels and flaxseed until combined. Put in the freezer for 45 minutes to 1 hour (until mixture is solid). Roll a small rounded teaspoonful of peanut butter mixture in your hands to form a ball. Place ball on small tray (or plate) lined with parchment or waxed paper. Repeat until all mixture is used. Put tray in freezer until firm, at least 1 hour (I often do this overnight). Working quickly, dip the frozen balls in melted chocolate and place back on parchment-lined tray. (Note: using 2 forks to dip and pass the balls in the chocolate works well). Top with sprinkles or chopped peanuts, if desired. Refrigerate until chocolate is set, at least 30 minutes. Store in an airtight container in refrigerator. 1) When working with natural peanut butter, I recommend microwaving it in the jar (as long as the jar is glass) for about 30 seconds. All natural, easily stirred peanut butter. 2) When melting chocolate chips in the microwave, always remember less is more. Cook it on low power in 30-second intervals until chips just start to melt. Then stir to finish melting. Work quickly to dip the truffles.